For the first time, the average house price in England and Wales has toppled over the £300,000 mark. Findings provided by Your Move have found property prices increased by 0.3 per cent in January 2017, increasing the average cost for a typical home in England Wales by £1,029, reaching the £300,169 mark. This figure has increased by almost £10,000 compared to January 2016, where the average cost of a property was £291,165. 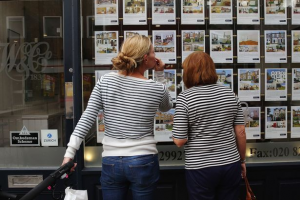 In London, house prices hit an average of £598,001, with an increase of 1.3 per cent. In Barking and Dagenham, the average house price grew 13.6 per cent year-on-year with an average price of £301,572, properties are still considerably cheaper than in the rest city. Your Move stated before the release of these findings, it had not recorded a house price rise in the capital for nine months. Region winning the largest increase in house prices goes to, the East of England where regions saw an increase of 7.1 per cent year-on-year. Followed by Luton with 10.1 per cent, Thurrock by 11 per cent, and Southend-on-Sea, by 14.7 per cent. Despite the higher price tags on properties, Estate Agent Today say in January 2017 the property industry saw an encouraging 60,000 transactions. “It’s been a confident start to the year from the housing market. Following a strong December, the performance in January shows a market whose resilience continues to defy the doubters.” Says Managing Director of Your Move and Reeds Rains estate agents, Oliver Blake.